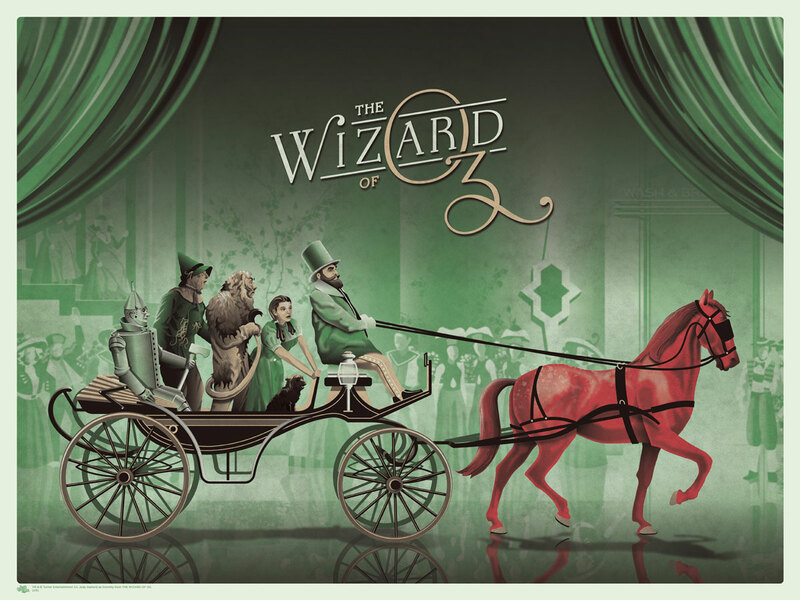 Graham Erwin made this delightful new poster to help celebrate the 75th Anniversary of the classic film, The Wizard of Oz. You can see detail photos of this poster HERE. Please follow MONDO on Twitter for the on sale announcement. This poster will be available online at a random time on Thursday, September 5th. 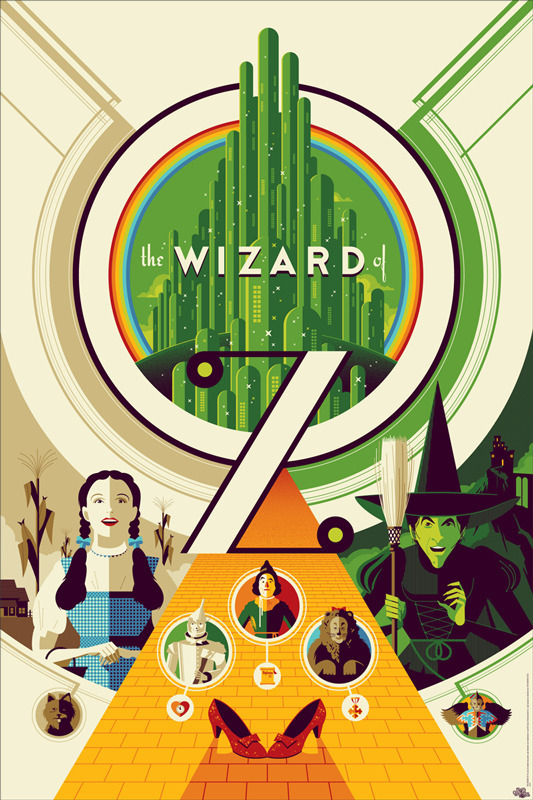 Tomorrow MONDO will be releasing two new prints by Tom Whalen. 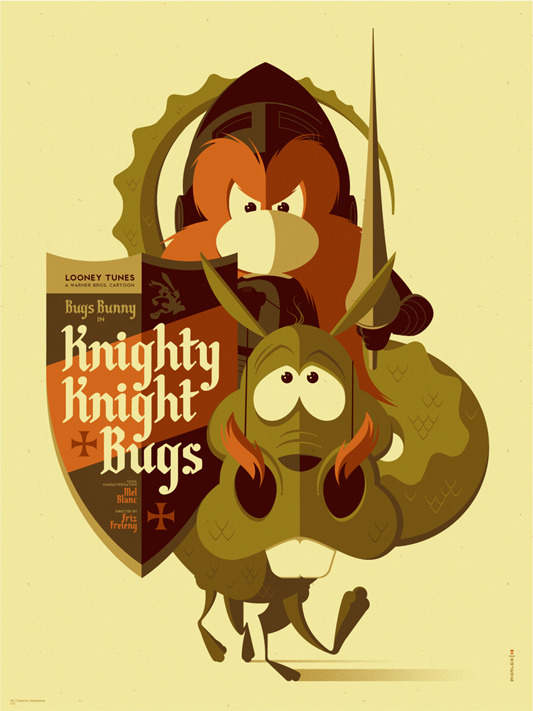 First up is a continuation of his Looney Tunes series, with a print for the hilarious, medieval short Knighty Knight Bugs. 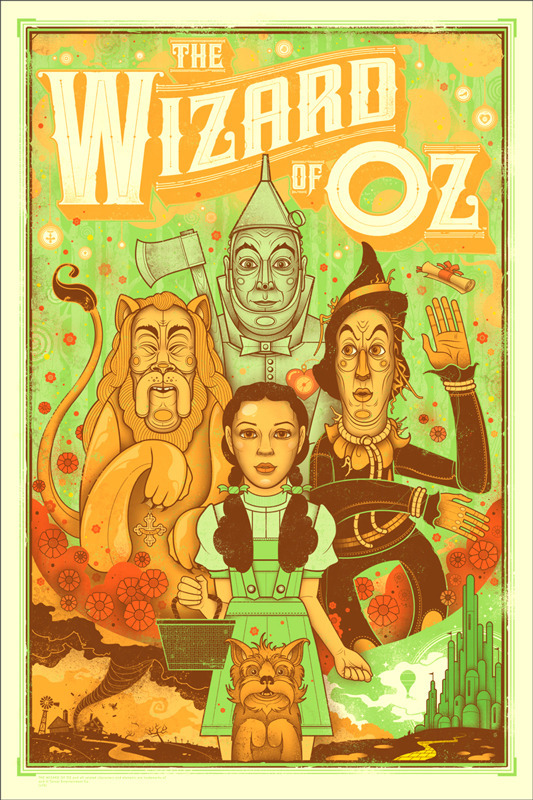 The other poster is a mind-blowing 11-color screen print for the inimitable classic The Wizard of Oz. Please MONDO on Twitter for the on sale announcement. These posters will be available online at a random time on Thursday, June 6th.